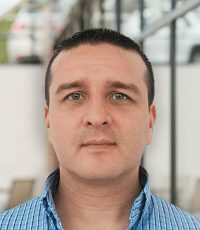 Fernandojosé is a Technical Lead for HealthCare.com and PivotHealth.com with nearly 15 years of experience in the fields of Data, High Availability Software Development, Enterprise Architecture, Team Building. Boiton started working for the first version of HeathCare.com where he participated as Software Architect for the Health Providers Directory Search Engine of what was known as BrokersWeb (renamed in 2010 to HealthCare.com). He then entered an evolutionary loop that leads to him becoming an established Enterprise Architect, expanding the company’s technological capabilities in order to build a fully distributed and scalable PPC Based AdServers.